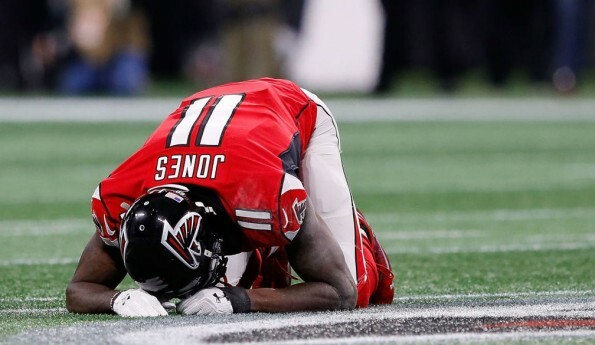 After blowing a 28-3 lead in the Super Bowl to the New England Patriots, the Atlanta Falcons were looking to rebound in 2017, but it came to an end quickly in the divisional round. Nobody would’ve thought the team would do anything drastic to change the make-up of the current team, but that was until Julio Jones started doing something eye opening with his social media accounts. The Falcons superstar wide receiver unfollowed everybody on his accounts, went private on his Twitter and deleted all Falcons related pictures from his pages. This is leading to many to think he is being traded ahead of the 2018 NFL Draft. Jones is still in his prime, but he’s only under contract through the 2020 NFL season for the Falcons and is only on the books for the last three years of his five-year deal worth $71,256,045.